The Sony Xperia M2 Dual has a Snapdragon 400 under-the-hood and looks good. What it doesn't have is a good screen and camera. The phone does perform remarkably well in the battery-life department, though. Pros: 1)Sony's omnibalance design and has a slimmer profile at 8.6mm. 2)8mp camera with 1080p video recording. 3)Good battery(2300mah). 4)NFC. cons: 1)No 720p display and has megre 229ppi pixel density. 2)No Android 4.4(kitkat) on launch (But upgrade coming soon). Highly overpriced phone from Sony! Sony M2 Dual is a good looking phone completely let down by hardware specs and nonsense Sony pricing. Whereas the original Xperia M cost around 13k during launch, Sony has ridiculously priced it at 21k. Come on Sony..what were u thinking while pricing this product?? At 21k you are offering a 540*960 display with 229 ppi instead of a HD panel, 1gb of RAM and 8 GB of internal memory when Moto G is offering HD panel IPS display with Gorilla glass 3 and 16gb internal memory at 14k. Even the pricing of Galaxy grand 2 is also better than yours considering it has a HD panel and 1.5 gb RAM at similar price . Good design and Sony brand name is not enough to fool customers this day. Should have been priced around 15-16k. Highly overpriced and not good value for money. Sony Xperia M2 Dual smartphone was launched in April 2014. The phone comes with a 4.80-inch touchscreen display with a resolution of 540x960 pixels. Sony Xperia M2 Dual is powered by a 1.2GHz quad-core Qualcomm Snapdragon 400 processor. It comes with 1GB of RAM. The Sony Xperia M2 Dual runs Android 4.3 and is powered by a 2,300mAh non-removable battery. As far as the cameras are concerned, the Sony Xperia M2 Dual on the rear packs 8-megapixel camera. 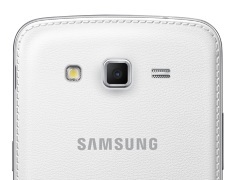 It sports a 0.3-megapixel camera on the front for selfies. Sony Xperia M2 Dual based on Android 4.3 and packs 8GB of inbuilt storage that can be expanded via microSD card (up to 32GB). 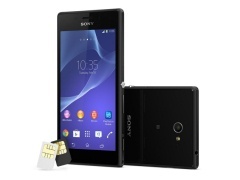 The Sony Xperia M2 Dual is a dual-SIM (GSM and GSM) smartphone that accepts Regular and Regular cards. 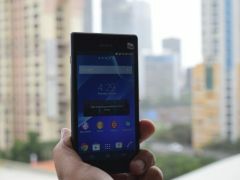 Connectivity options on the Sony Xperia M2 Dual include Wi-Fi 802.11 a/b/g/n, GPS, Bluetooth v4.00, NFC, FM radio, and 3G. Sensors on the phone include accelerometer and proximity sensor. 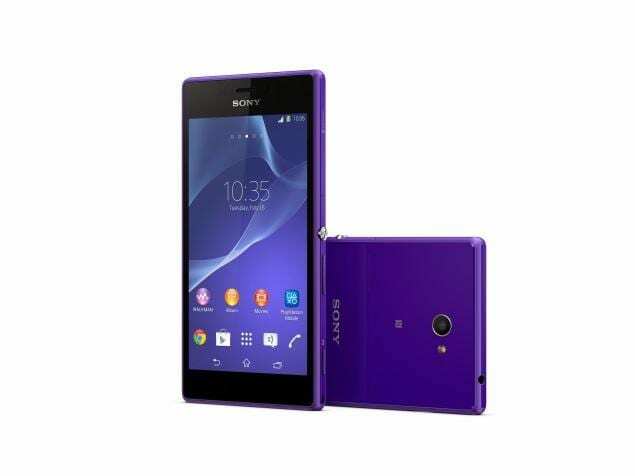 The Sony Xperia M2 Dual measures 139.60 x 71.10 x 8.60mm (height x width x thickness) and weighs 148.00 grams. It was launched in Black, White, and Purple colours.